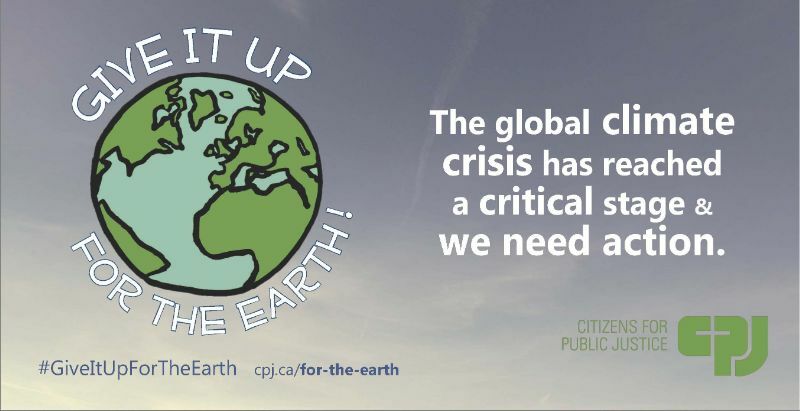 The global climate crisis has reached a critical stage. It's time to work together. The Give It up for the Earth! campaign starts on Ash Wednesday, March 6, 2019. There is still time to order postcards for your community! Please join us and Give it up for the Earth! as part of your Lenten journey. Nous avons aussi des matériaux en français! Give it up for the Earth! 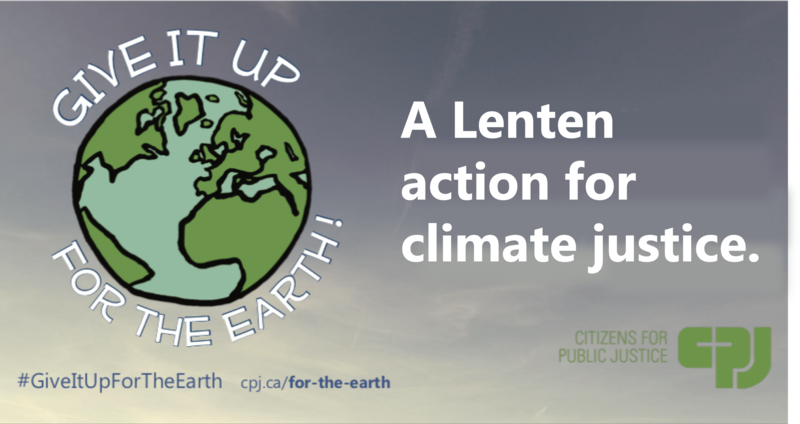 2019 will signal to the prime minister that Canadians – especially Canadian Christians – are making changes in our lives to reduce greenhouse gas emissions. More importantly, it will once again let the federal government know that we want them to end public financing of the fossil fuel sector. Organize an event in your community! 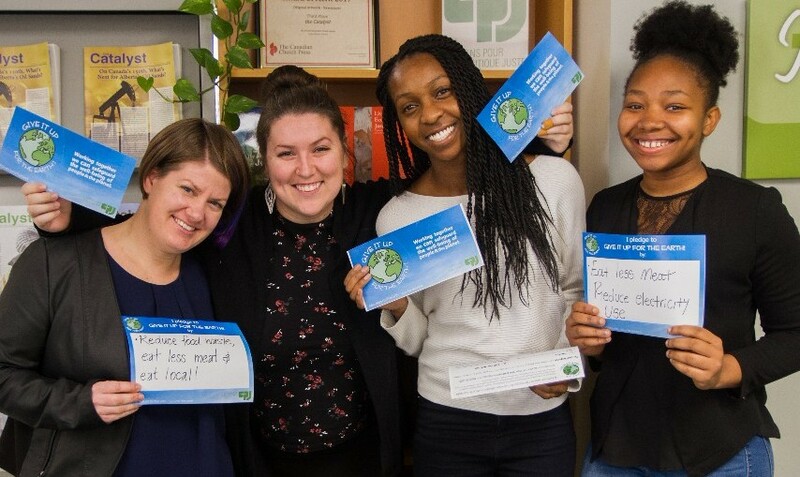 We invite Canadians to Give it up for the Earth! from March 6 - April 18, 2019! 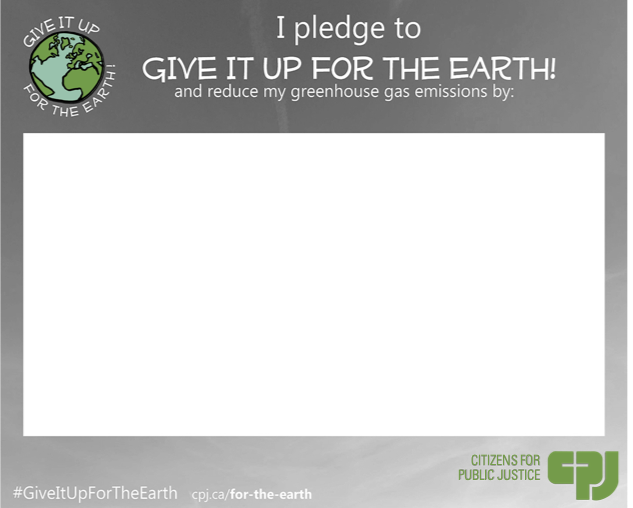 Make your pledge to Give it up for the Earth! Engagez-vous à Arrêter pour la planête! Copyright © 2019 Citizens for Public Justice, All rights reserved.